This past June, I had a really incredible couple (Kelly+Dan) who had a seriously fabulous wedding at the 1840’s Ballroom. I loved everything about it! (Look out for their wedding blog post later this week!) But what really bowled me over was their Baltimore’s Best Candy Bar! 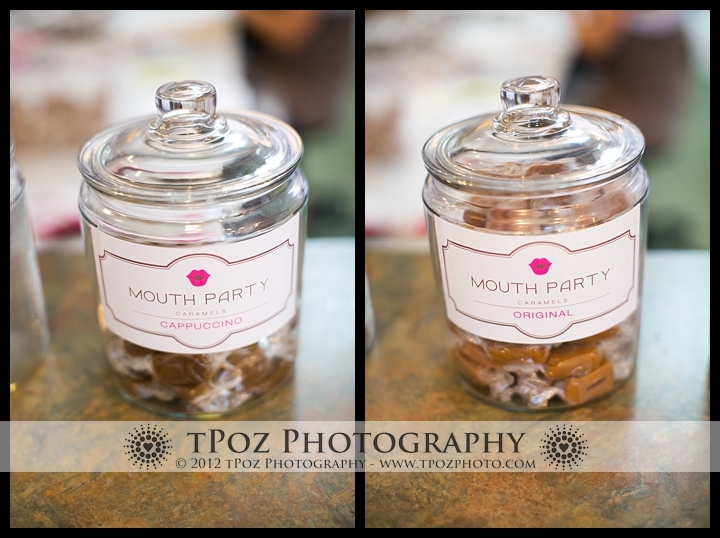 It featured Baltimore-made items like Berger Cookies, Mary Sue candies, Goetze licorice, and MOUTH PARTY CARAMELS. 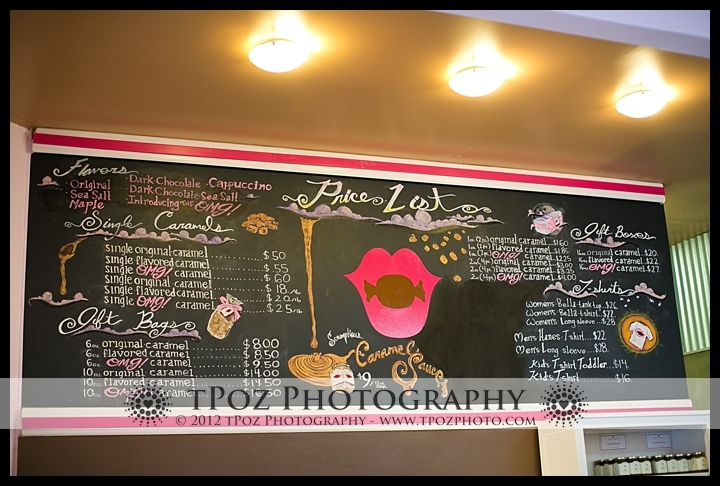 There was a big gigantic glass container full of their Sea Salt Caramels. Calling.my.name. 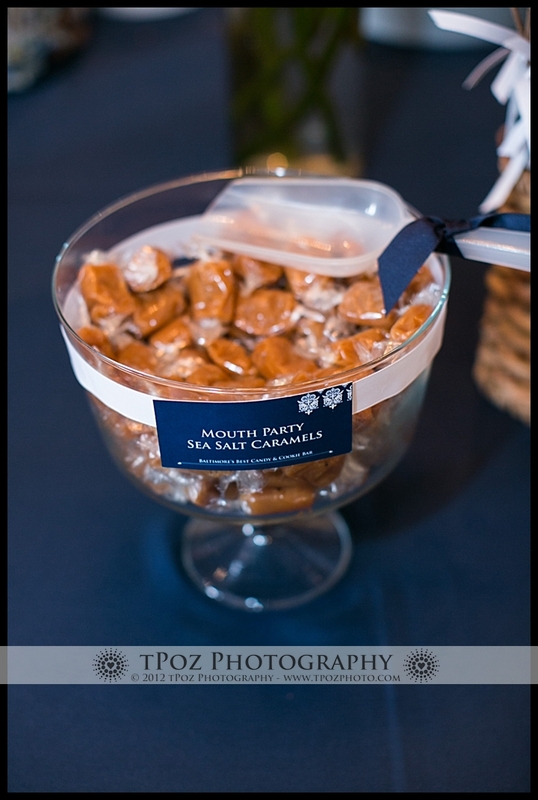 As I was photographing the candy bar, I popped a caramel in my mouth – holymotherofallthingsdelicious. My eyes about popped out of my head with delight! I instantly stashed a few more in my Shootsac, and looked forward to enjoying them when I got home later that night. 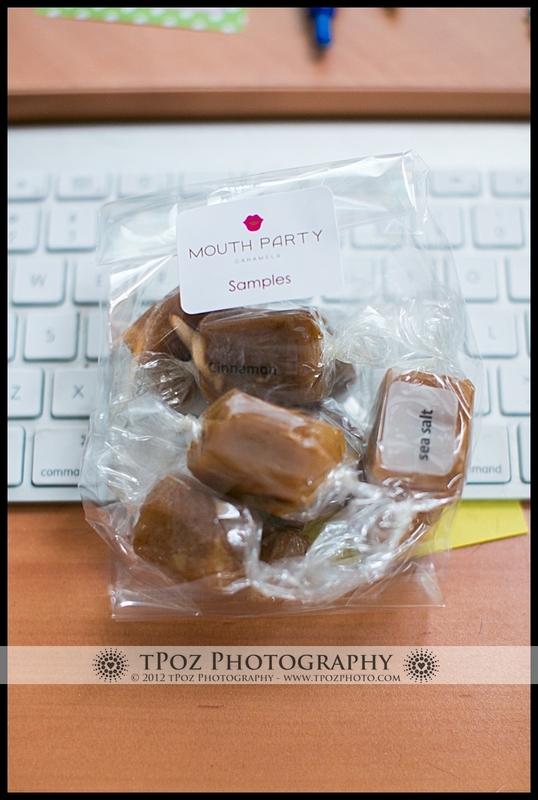 The next day, when emailing with the bride, Kelly – I told her I was dying to know where those caramels were from….and thusly, my love affair with Mouth Party was born. After Facebook stalking them, I was kindly invited to visit their headquarters to see the magic of how the caramel is made. 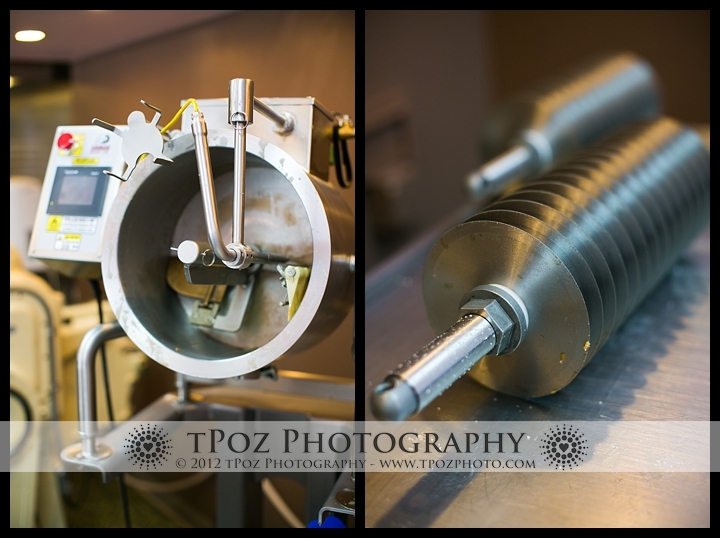 Everything is hand made and done in small batches. Visiting their Parkville kitchen, I was able to see the different stages of the caramel being made – boiled, mixed, rolled, salted, cut, wrapped and packaged. 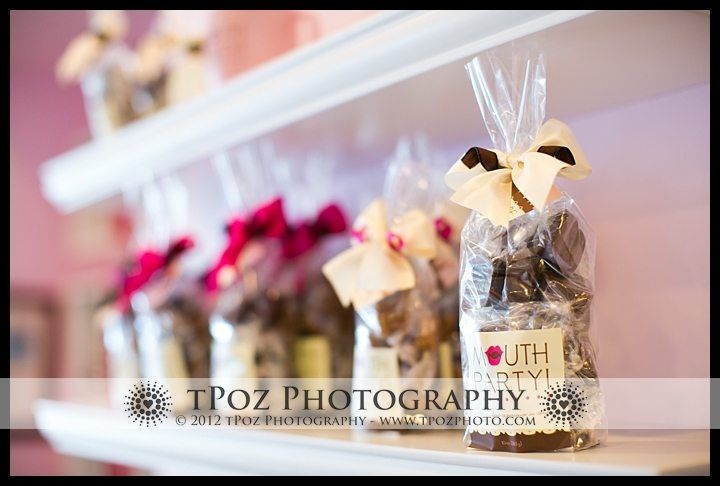 They were in the middle of packaging up favors for a wedding reception – 4 caramels to a box, wrapped in a ribbon matching the brides colors. Those are some lucky wedding guests! 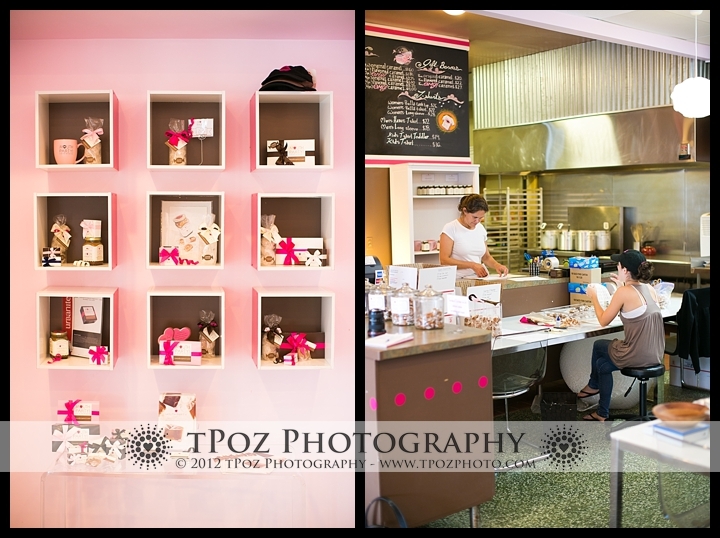 Currently, there are 8 year-round flavors – Original, Sea Salt, Chocolate, Chocolate Sea Salt, Cinnamon, Cappuccino, and OMG! (which is the Sea Salt Caramel dipped in chocolate!) Seasonally, they add flavors on a limited basis, including Dark Chocolate Raspberry, Old Bay, Maple, Pumpkin, Cinnamon Apple, Autumn Mix, and Peppermint. While I was visiting the kitchen, they were testing out a new flavor – Key Lime Pie with Graham Cracker Crust. A HUGE winner in my book!! B.G. 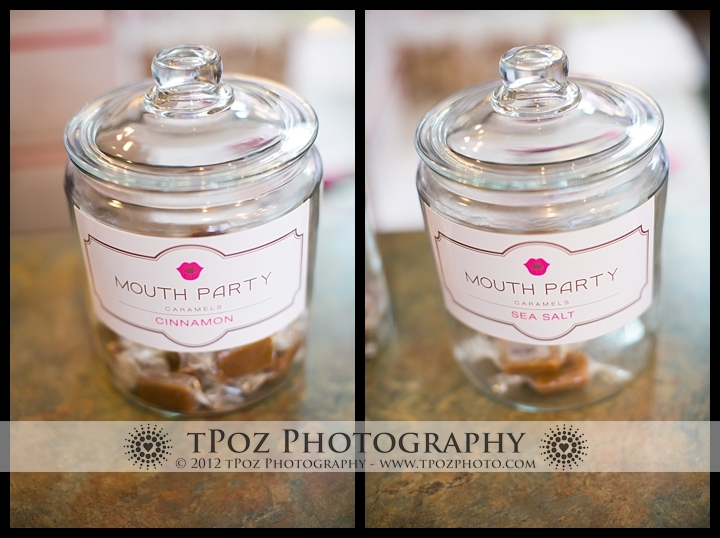 Purcell, started the company in January of 2007 with her step-mom’s recipe, selling to friends and family. 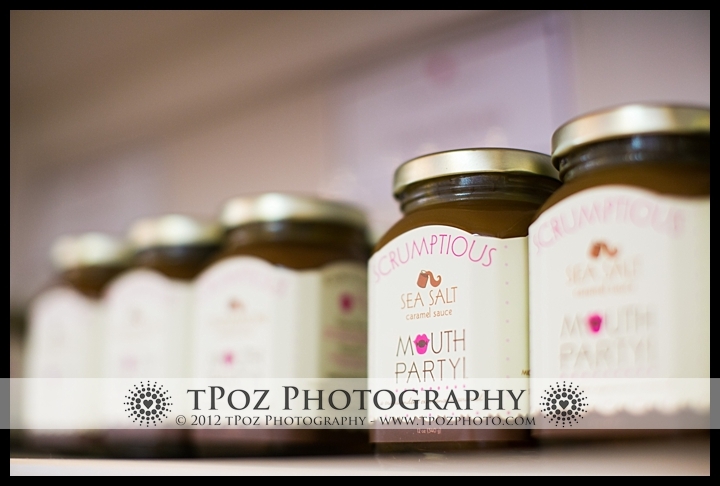 Since then, Mouth Party has grown immensely and was recently featured in the gift bags at the 2012 Grammy Awards. Another reason to give kudos to this community-conscious company – they donate ten percent of their company profits to cancer research and efforts that heighten public awareness of cancer associated problems. They are also participating in the upcoming Leukemia and Lymphoma Society’s Light The Night Walk on November 3, 2012. Major brownie (caramel?!) points with me! You are taking me here. Done and done.